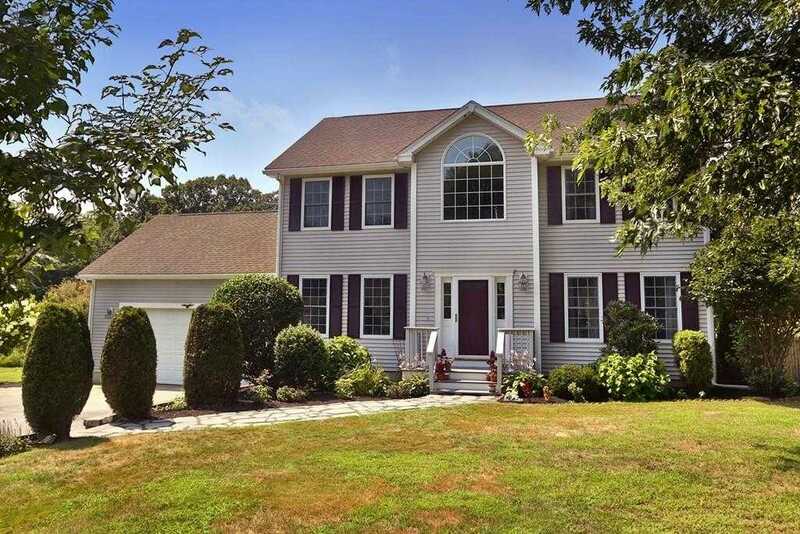 Built in 2002 and hidden in one of Salisbury’s most desirable neighborhoods lies this 3 bedroom 2.5 bath colonial. Situated close to Amesbury, and within a mile to highway access this home is perched upon a large and gently sloping lot. Beat the heat all summer long in your private fenced in back yard which boasts an above ground swimming pool and oversized deck! Featuring a grand foyer with chandelier and oversized window, this house feels bright and warm through out. This home features 2 family rooms with one having a fantastic wood burning stove! The second floor is complete with an fantastic master bathroom with a large walk in closet and hardwood flooring throughout! Updates for this home include crown molding and a new lennox 2 stage central air system! Homes in this neighborhood are rarely available, don’t miss your opportunity to see it today.